In a perfect world all weddings would go to plan, however, with destination weddings comes an increase in risk. So, here is Canstar’s guide to help ensure your destination wedding runs smoothly! The average New Zealand wedding cost is now reportedly an almighty $35,000. In light of expensive wedding costs and soaring property prices, New Zealand couples are increasingly looking for ways to reduce the cost of their weddings. One common approach is to opt for a destination wedding, with a smaller guest list and lower catering and venue costs. Picture an overseas wedding set in an idyllic location and many would jump at the opportunity to turn this dream into a reality. And in this case, wedding costs can be virtually the same, if not less than a wedding in New Zealand – except you and your friends and family can make a holiday out of it. If you’re planning a destination wedding, though, the one thing you should include is travel insurance to protect you against financial loss if things don’t go exactly to plan. The good news is, wedding rings can be entrusted to the maid of honour or best man, as they tend to not have to stay with the insurance policy holder to be protected. However, check your travel insurance cover prior to departure as there could be exclusions if they are left in checked luggage or unattended in a vehicle. Also, ensure your travel insurance policy covers jewellery as you may need to pay for an additional policy. A good way to be prepared, in the case of the rings going missing, is to take pictures of the rings and have the receipts and papers on hand as proof of purchase. Don’t put wedding rings in carry-on luggage. While it may seem safer keeping the items on you, there is actually more of a chance of people seeing you have rings in your luggage and, therefore, be influenced to steal them. This is because bags are often checked in security or customs. Keep the weddings rings in a safe before the big day. The name is – in essence – self-explanatory, the safe keep items safer than carrying them around with you. You may encounter pick-pocketers or even simply have the rings slip out of your bag, unbeknownst to you at the time. It’s better to be safer rather than sorry. If you want to be extra careful after you’ve been hitched and when out and about, turn the wedding ring and engagement ring, so it appears as though you’re wearing a simple band. This avoids thieves being tempted by the glitz and sparkle – a pick-pocketers dream. After spending an abundance of time and money finding that perfect wedding dress, the last thing you’d want is for it to go missing or get damaged on your way to your dream wedding destination. Finding a last-minute wedding dresses in a foreign place can be stressful, costly and near impossible when there are time constraints involved. Unless, you’re tolerable to substituting your expensive white lace wedding dress for a Balinese market number. 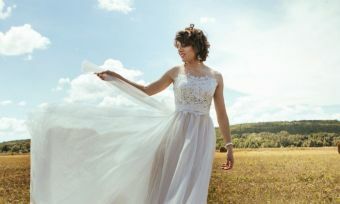 Luckily, there are actions you can take to help saviour much-loved wedding dresses. Firstly, contact your airline about how they handle delicate carry-on items to get an idea of what to expect on the flight. 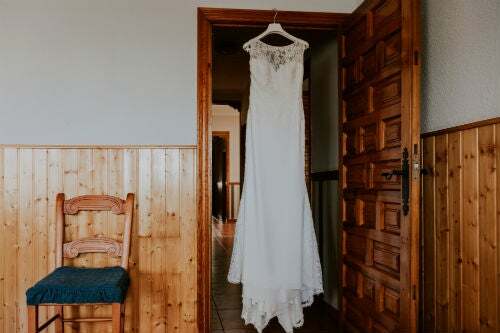 Ask them to make a note so that when you arrive to the gate, flight attendants can try to store the wedding dress safely before compartments are filled with other passengers’ items. If this approach isn’t viable, there is the option to purchase priority boarding or first-class tickets. Make sure you safely secure wedding dresses in a garment bag beforehand. But be careful, as packing wedding dresses can make a huge difference on how they are protected. An effective way to pack wedding dresses is to hang them up – inside the garment bag. Then, fold the outer edges of the wedding dresses to the centre, and roll the bottom of the train up until all the fabric fits inside the garment bag. If you opt for the over-head bin tactic of storing wedding dresses while traveling, there are different ways of folding the garment bag, depending on how the luggage is positioned on the plane. We recommend you lie wedding dresses flat, but if this isn’t possible, you can either fold, or roll the dress. When rolling wedding dresses, start rolling from the hanger so that the fabric is wrapped around it. 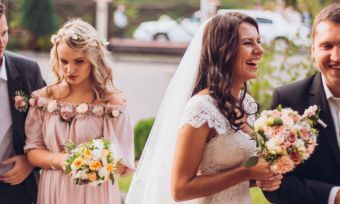 If you’d prefer having wedding dresses closer to home, lionise with a flight attendant about spare seats, and if you’re lucky enough, there may be two spare seats next to one another that are a perfect fit for you and your gown. Or, an additional passenger may be happy enough to swap seats with you so that your wedding dress has ultimate protection with you by its side. However, double-check your wedding dress meets carry-on requirements as we wouldn’t recommend putting your wedding dress in checked luggage. This can heighten the risk of the dress being stolen or damaged, substantially. Other options include shipping it beforehand or even buying the dress its own seat on the plane! If you’re planning to go to an exotic location for your destination wedding, add a reminder in the ‘save the date’ for guests to check with their doctor about any required immunisations. How long you’re going for and the season you’re travelling can also affect which vaccinations you need, so the more detail you can provide the better. Also, check that your usual immunisations are up-to-date. Some common immunisations to check up on are tetanus, hepatitis B, polio, measles and pertussis – otherwise known as whooping cough. Whereas, vaccines commonly required for travel are for cholera, typhoid, rabies and yellow fever. Food-borne illness is a major cause of sickness overseas. And, while losing wedding dresses or weddings rings can definitely be a burden, the bride or groom getting sick means no wedding at all. Therefore, it should definitely be top priority to prevent illness during preparation of the wedding. Take note of these tips to lessen your chances of getting sick! While buffet service is popular at destination weddings, leaving food in the open for long periods can increase the chances of food poisoning. If your destination wedding is in a location where tap water is unsanitary, ensure the water being served to your guests is from a bottle. Likewise, confirm the ice is made with bottled water or if you’re uncertain, don’t pour drinks over ice at all. Avoid serving seafood, a food known to attract bacteria due to the fact there’s a higher chance seafood is contaminated than other foods. Providing guests with hand sanitizer is not only convenient but reduces the risk of washing hands with unsafe water. Be dairy wary – check how dairy is stored before the wedding as dairy has bacteria in it that can go-off when in high temperatures. Try to choose catering that is served steaming hot as temperatures tend to kill harmful bacteria. Flight cancellations can and do happen. This could impact on ultimately your entire destination wedding, if you can’t get to the altar in time. And in this case, your venue, caterers and celebrant will have gone to waste. However, if you book your flight so there is enough time before the wedding to take potential cancellations into account, you needn’t have to worry. 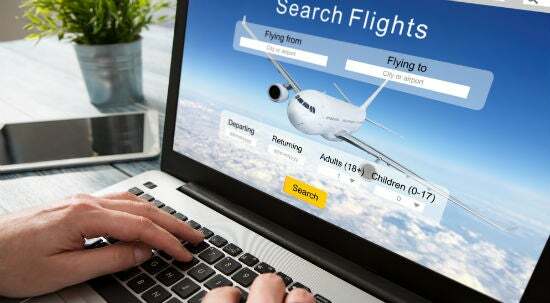 However, do check travel news sites before you book and prior to departure as well, as your dream destination could be flagged as a ‘do not travel zone’ at little to no notice. These zones are usually set during and after natural-disasters and dangerous weather. If you purchase travel insurance as soon as you have booked, this may not be an issue as you usually are covered for cancellations. Whether you’re planning to relax by the pool or fill your days with adventures like scuba-diving or cruising after saying ‘I do’, purchase an insurance policy that covers your entire trip – from the day you leave to the day you arrive home, including all the activities in between. You should get travel insurance on any overseas trip, but the honeymoon brings special memories so, if anything, travel insurance is uber important at this stage! While we hope these steps lead you to the alter according to plan, the best advice we can give in terms of travel insurance advice is to read the policy to make sure you are covered in all areas needed! Each travel insurance policy differs, so to find the right one fit to your circumstances and with good value for money, compare travel insurance below.